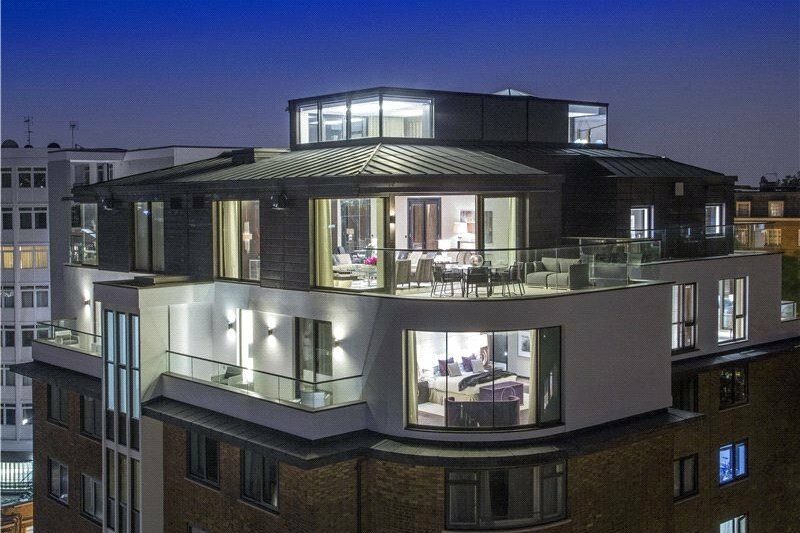 Introducing the Vertice – a luxury penthouse apartment in St John’s Wood from prestige property developer Seqoya; winner of Best Interior Design Apartment UK, Best Interior Design Apartment London and Best Property Single Unit London at the United Kingdom Property Awards 2013- 2014 and also the London Evening Standard Highly Commended Best Luxury Home UK Award 2013. 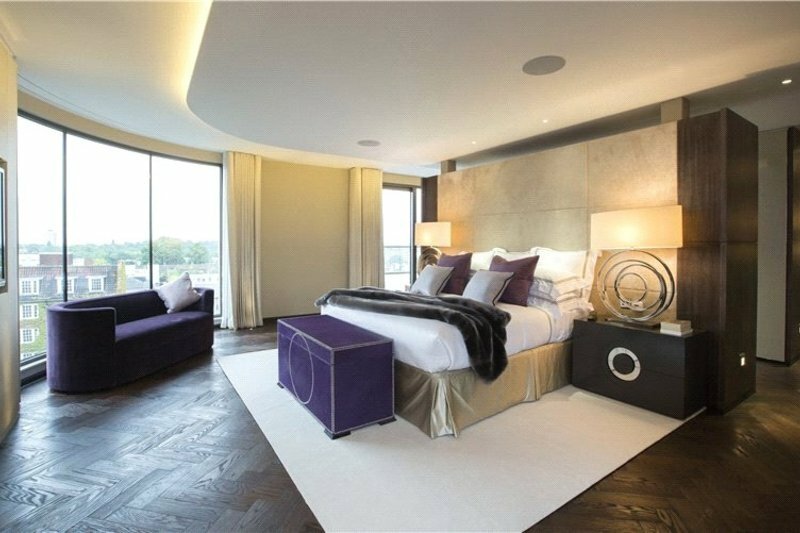 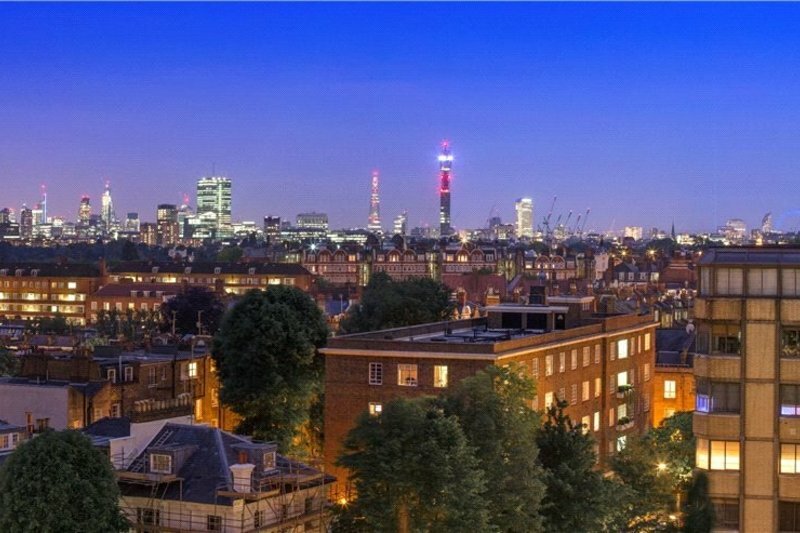 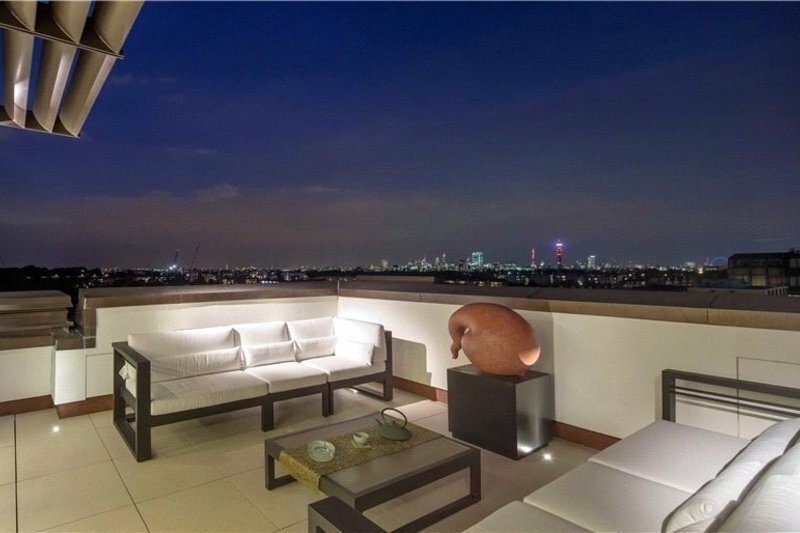 Queen's Court in St John's Wood by luxury developer Seqoya provides two of London's most outstanding penthouses, offering four bedroom suites and panoramic views over central London. 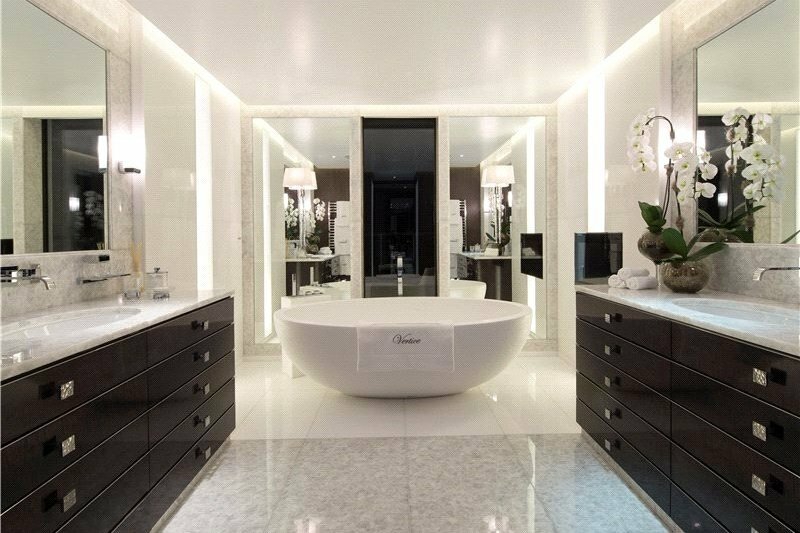 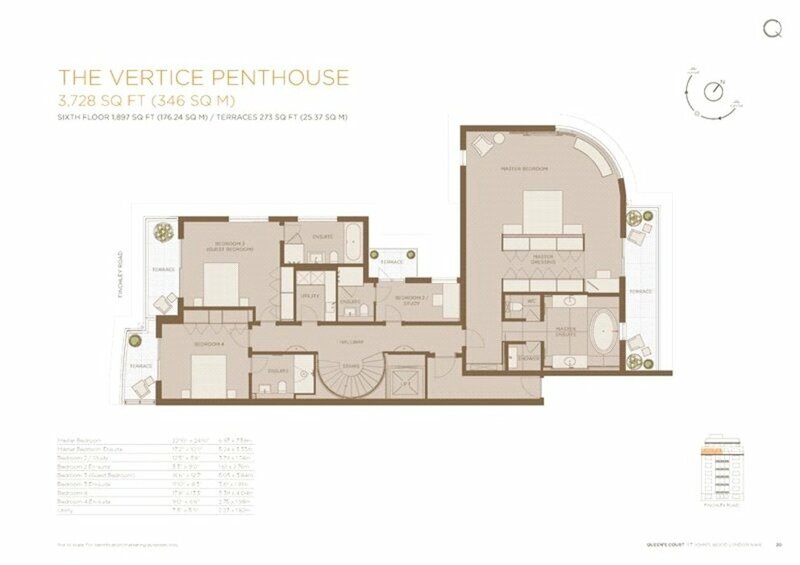 These Cutting edge penthouses have been built sourcing hand picked materials from across the globe, with an impeccable level of interior finishing throughout. 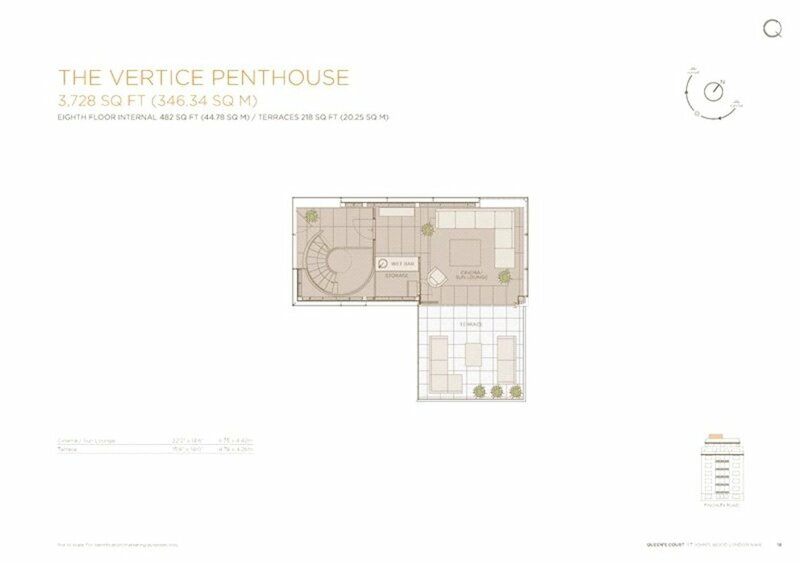 The ‘Vertice’ penthouse provides 346.34 sqm (3,728 sqft) of luxurious living space over three floors, with 91.10 sqm (980 sqft) of private terraces. 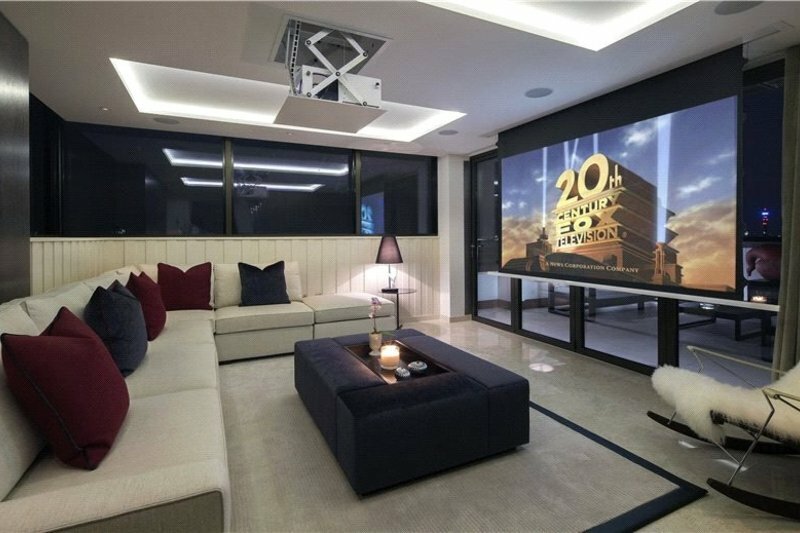 ‘Vertice’ also benefits from an amazing top floor sun lounge which features a 100-inch cinema screen with 5.1 Dolby surround sound system. 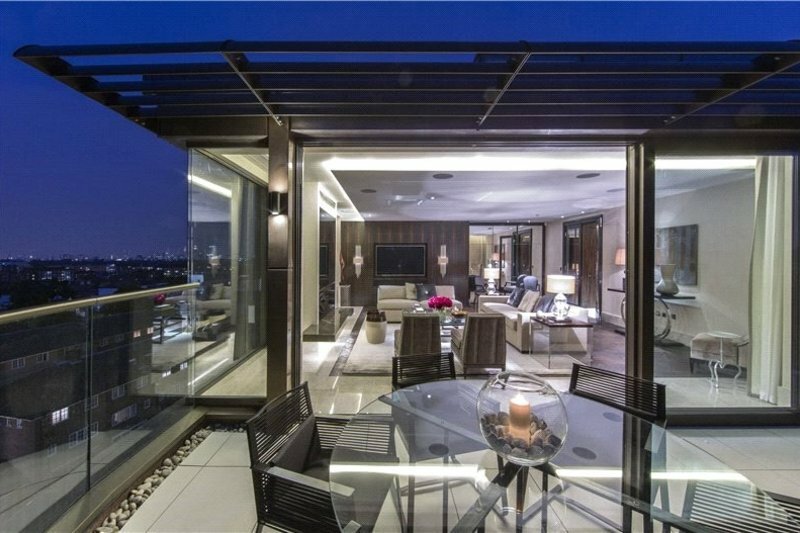 This lounge has a bespoke drinks bar and folding glass walls opening onto a large rooftop terrace. 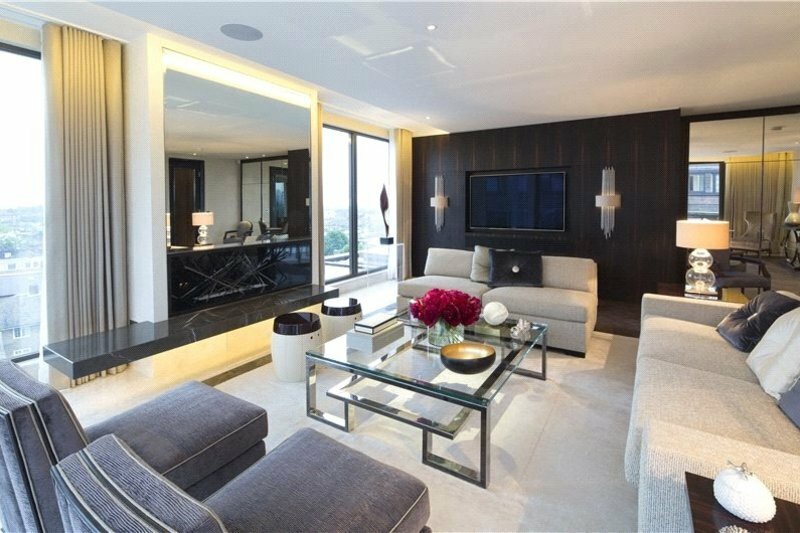 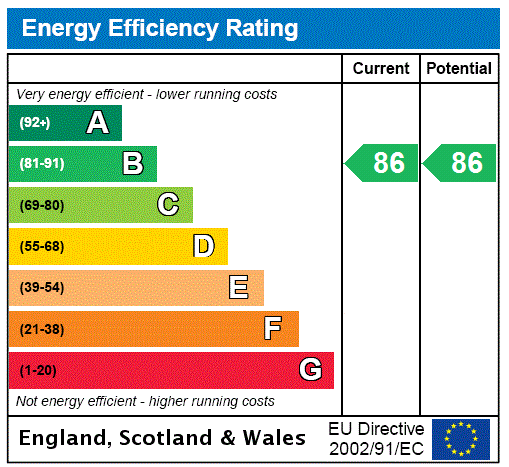 Access to the penthouses is controlled via key pad code or remote fob protected lifts. 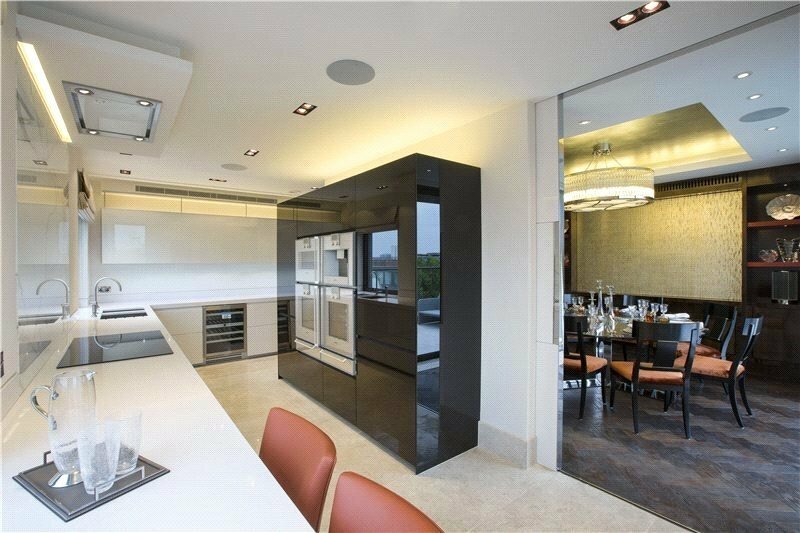 Bespoke cabinetry, luxurious finishes, generous ceiling heights, expanses of glazing, full height doors with custom-made architraves and bright open living spaces give each penthouse an exceptional and unrivalled feeling of space, grandeur and luxury. 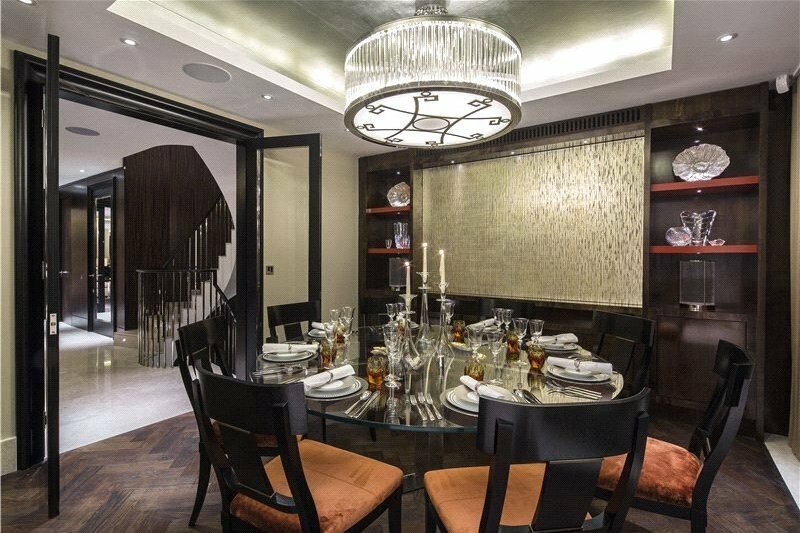 Features include spacious entrance halls, drawing room with floor to ceiling glazing opening onto a private terrace, dining room seating up to 10 people, kitchen/breakfast room and four luxurious bedroom suites, each with bespoke fitted wardrobes and luxurious ensuites. 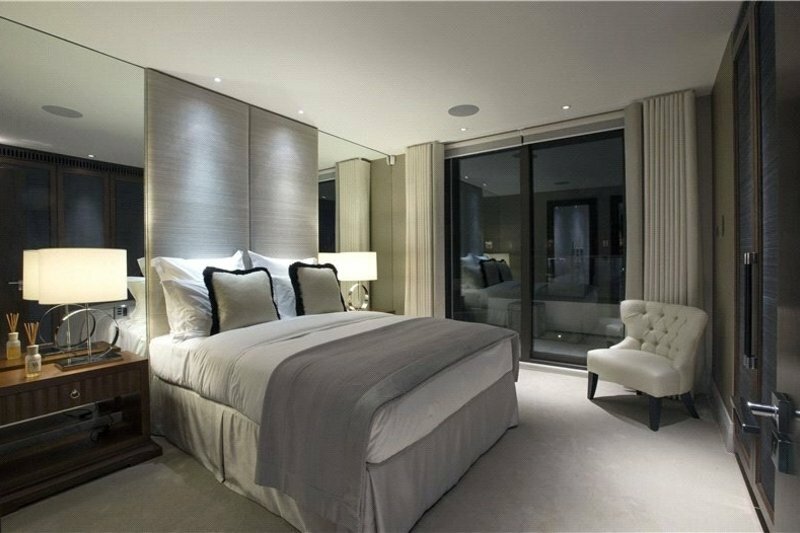 The penthouses benefit from state-of-the-art Crestron automation to lighting, audio/visual, remote-controlled blinds/curtains with other amenities including comfort cooling, under floor heating, 24hr filtered fresh air ventilation system and integrated plasma screens. 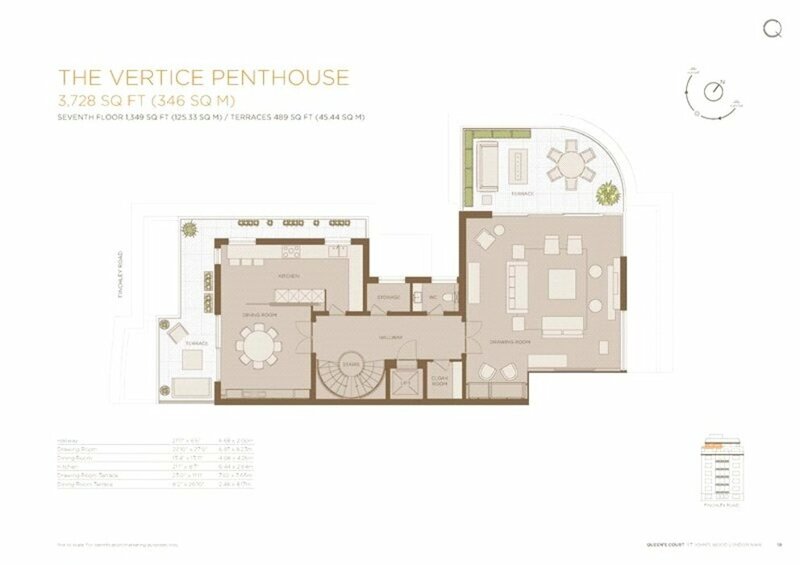 Each penthouse has two allocated secure garage/parking spaces within the gated grounds with cctv monitoring. 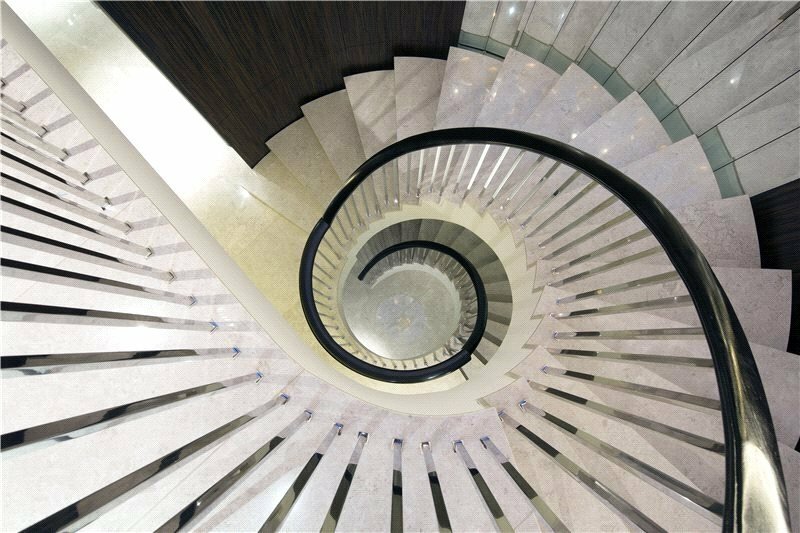 The entrance to Queen’s Court is located on Queen’s Terrace, London NW8.